This year’s grape harvest has begun in Georgia. 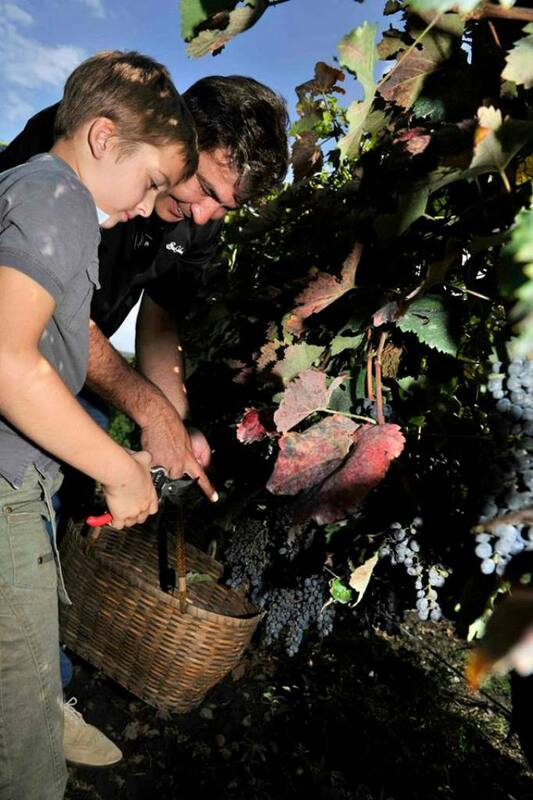 The process of picking grapes and making wine, together with the accompanying celebrations, is called Rtveli (Georgian: რთველი) and marks the end of the agricultural cycle for the year. Rtveli involves almost everyone in Georgia. Wine is produced by thousands of small vineyard farmers (using primarily traditional techniques of wine-making), as well as by modern wineries. 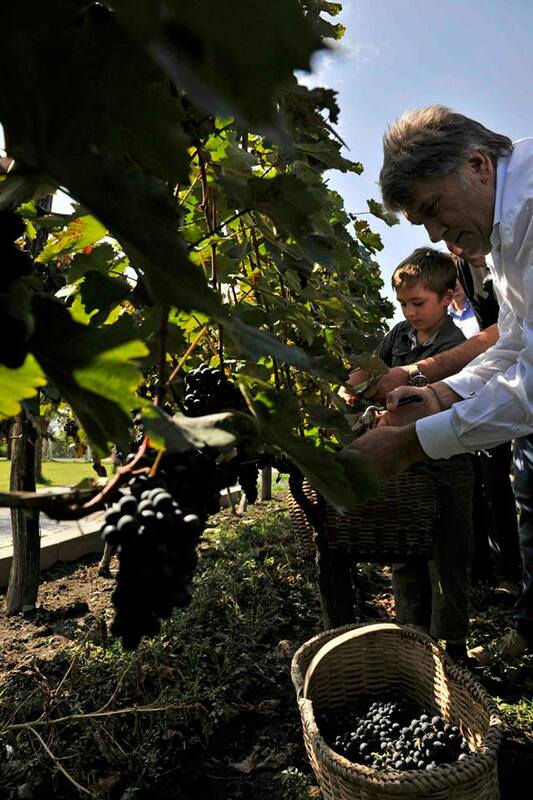 Ex-President of Ukraine, Viktor Yushchenko, helped President Saakashvili and his son harvest the grapes at the President’s vineyard in Kvareli (Georgian: ყვარელი) in Georgia’s Khaketi region. 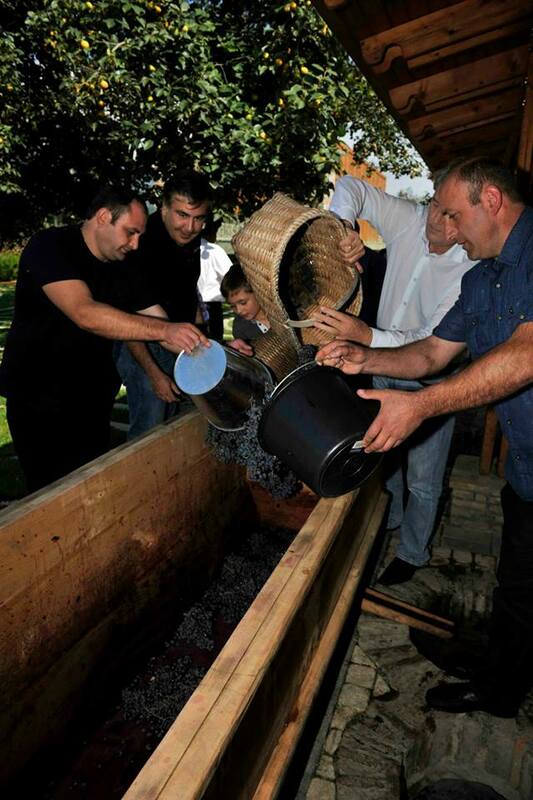 Putting grapes into a long wooden tub (Sacnakheli) at President Saakashvili’s Vineyard. The juice from the grapes flows into clay vessels called Kvevri, that are buried in the ground in a special place called a Marani that is used to make and store wine. The process of leaving grape juice to ferment in Kvevri is thousands of years old. President Saakashvili and Ex-President of Ukraine, Viktor Yushchenko, treading grapes. 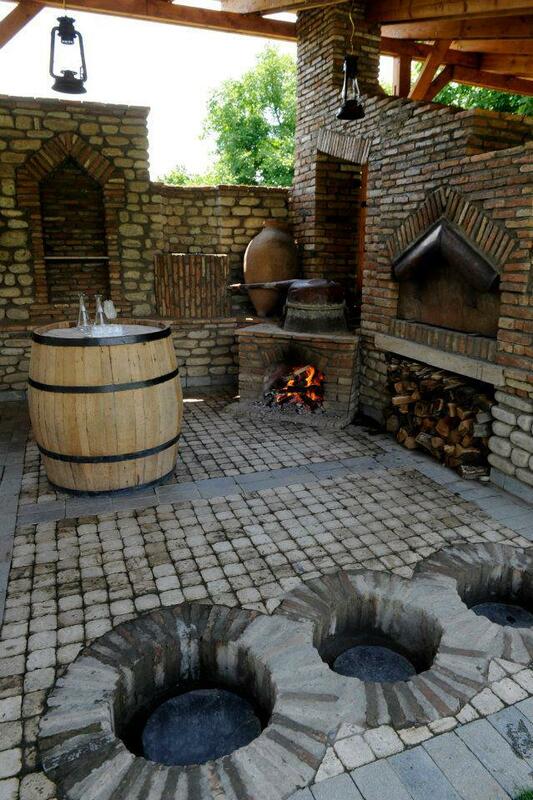 President Saakashvili’s Marani – place for making and storing wine.